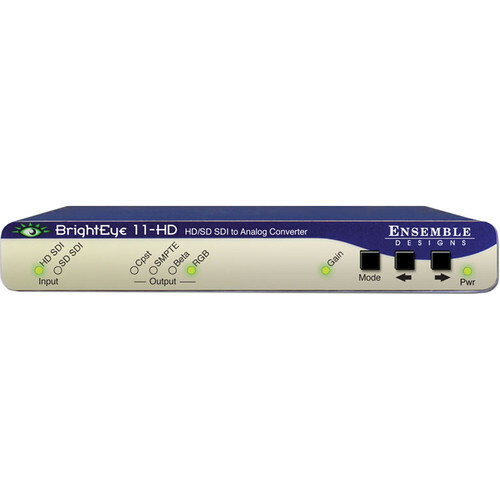 The BrightEye 11-HD HD/SD-SDI to Analog Converter from Ensemble Designs is a device designed to convert an HD-SDI or SD-SDI input to a wide range of analog output formats. When an HD input is present, HD RGB or YPrPb is output. When an SD input is present, Beta, SMPTE, RGB or composite with simultaneous Y/C is output. Processing, encoding and conversion are performed digitally at 12-bit resolution with 8X oversampling. Front-panel controls allow you to select the input source and format, as well as adjust video gain. Video levels can also be adjusted through the BrightEye software package that is included with the unit and compatible with both Windows and Mac operating systems. 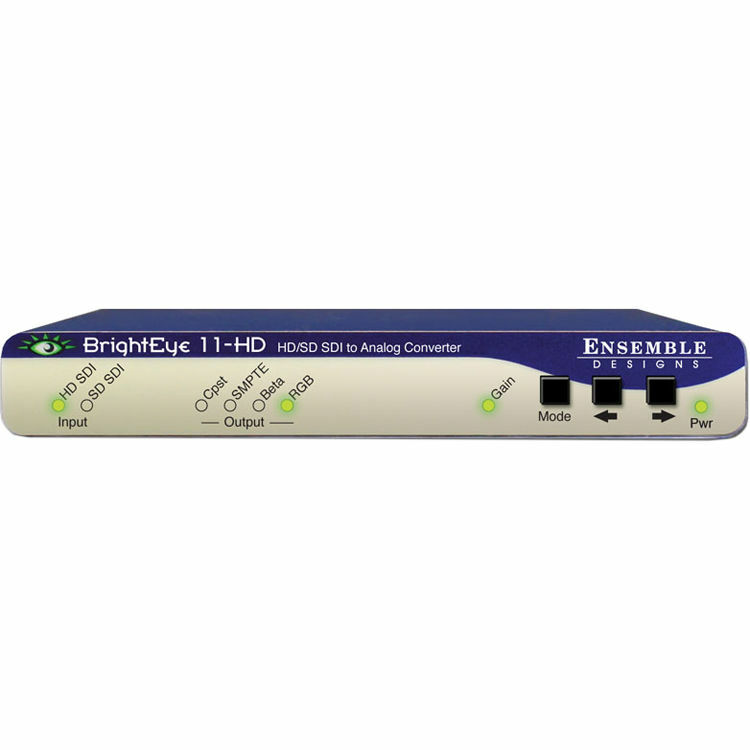 Use this device to convert an HD-SDI or SD-SDI input to a wide range of analog output formats. The unit offers 12-bit resolution. Box Dimensions (LxWxH) 8.8 x 8.0 x 4.8"